Full disclosure : I realize I am *super* far behind on sharing my projects! 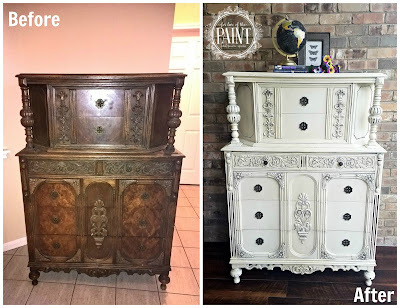 But, here's a Before and After of an absolutely fabulous piece that I can't wait to share with y'all! This set was so beautiful in the original oak, but just check out how the chest of drawers looks in Annie Sloan Old White Chalk Paint! 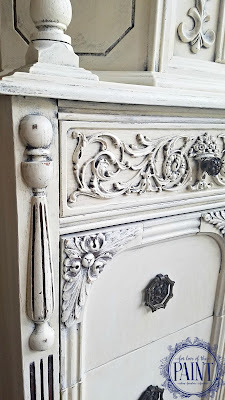 !It gave an utterly fabulous shabby chic / distressed look! 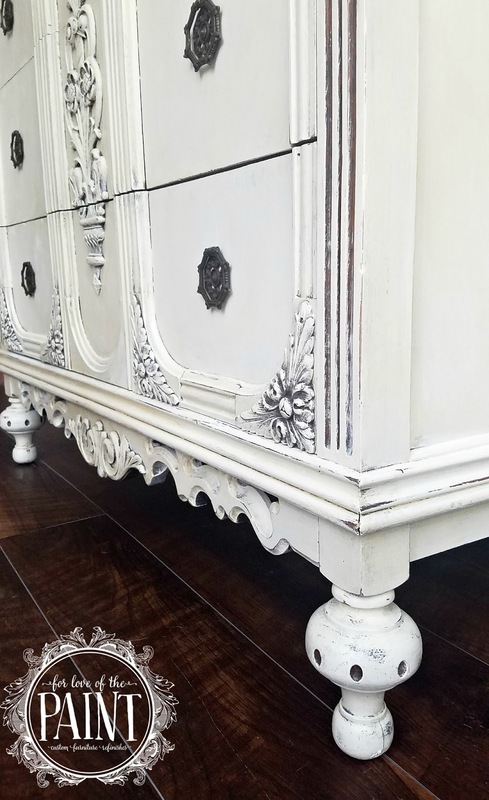 The details are rich and vibrant, and a little distressing adds the perfect amount of character to the beautiful texture of the oak. 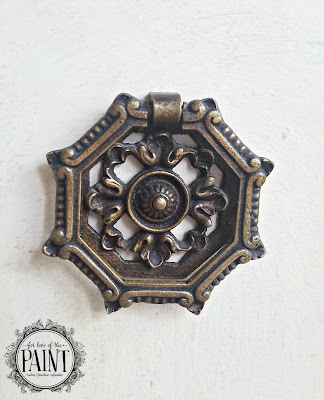 The ornate hardware is oh-so-stunning, and paired gorgeously with the carvings! More eye candy with close ups after the jump! Oh-my-goodness-gracious how I LOVE the sweet carvings on this one! I dry brushed along the details so as to not fully saturate the embellishments. This leaves the recessed areas "lowlighted" by the absence of paint. I came back and added light distressing to high points and edges as well. 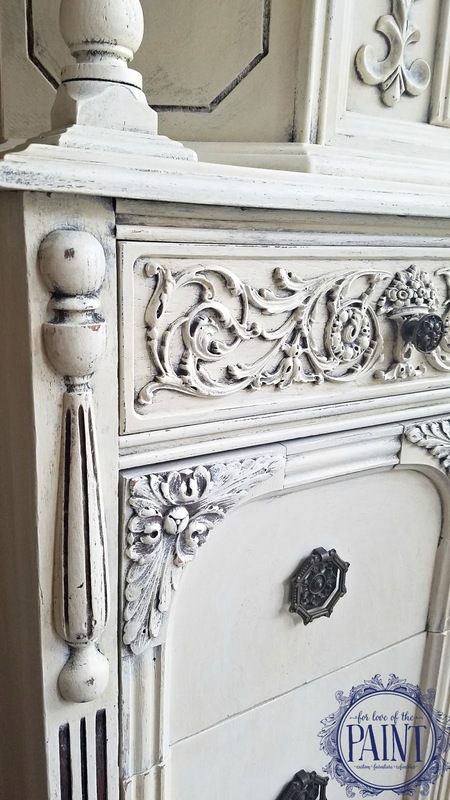 Aren't these pulls fabulous?? I thought the original bronze color was perfect to accent the French Vanilla tone of the paint. One more - love love love those turned legs and the ornate carving at the base! 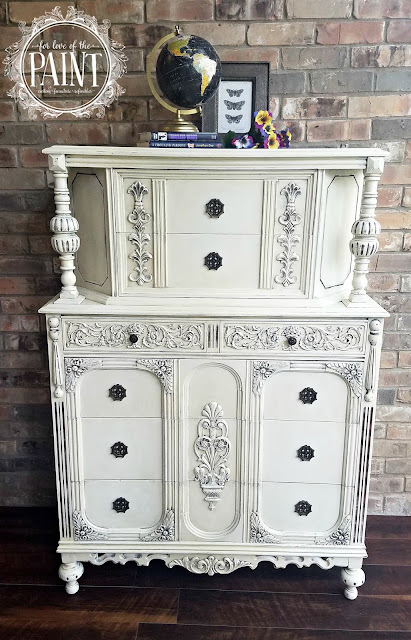 It was beautiful before, but now I think it looks so modern and fresh for any decor from refined to farmhouse style. Who's with me? Have you used Old White? What is your favorite go-to neutral?